Pipestone County was established in 1857, but it was still many years before European-American settlers came to live in the county. The region had been visited by explorers and traders, but settlers stayed away, considering the county "Indian territory," until well after the Civil War. In 1837 the United States government negotiated treaties with the Sioux and the Ojibwa, who held title to the entire Minnesota region, to give up lands in the triangle bounded by the St. Croix and Mississippi Rivers and by a line drawn eastward from the mouth of the Crow Wing River. As soon as the treaty was signed, lumbermen moved into the region, and settlements rapidly grew up at Stillwater and St. Paul. Further treaties with the American Indians, combined with the growing might and population of the United States, eventually opened up the rest of Minnesota for settlement. Alarmed at the number of settlers entering the region, the Sioux rose in August of 1862, which resulted in nearly all the Sioux being expelled from the State. During the 38 day war, 500-800 American settlers and an unknown number of Sioux were killed. After this war, immigration grew in the western Minnesota. The first Pipestone County survey occurred in 1871, but the surveyors neglected to mark the Sioux reservation on the drawing of the land that was later named Sweet Township. The town of Pipestone, Minnesota, county seat of Pipestone County, was first platted from 1873 to 1874, and finally incorporated on February 1, 1891. Two individuals, Charles H. Bennett and Daniel E. Sweet were instrumental in the founding of Pipestone. In April 1873, Sweet surveyed the 20-block townsite in Section 12 of the township which was later to be named Sweet. 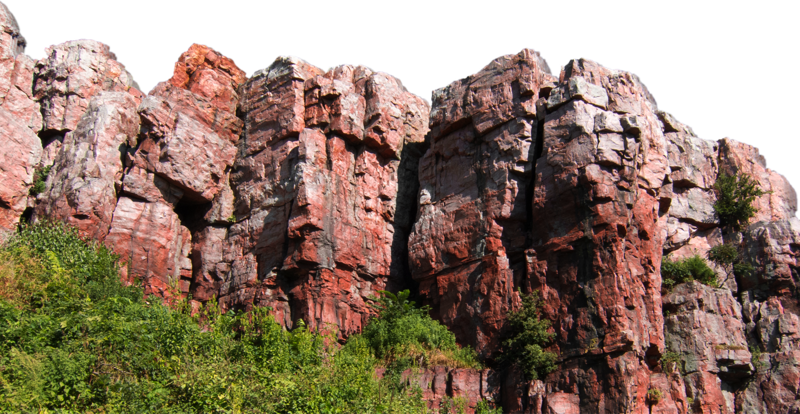 The town itself was located near the center of the county, a mile south of the quarries where the red pipestone is found, and for which both the town and county are named. Your visit to the Pipestone County Courthouse takes you to perhaps one of the best examples in Minnesota of skilled craftsmanship and beauty in architecture using locally quarried, hand-cut Sioux quartzite stone. The building is centrally located in Pipestone, on a square of land which was donated by Daniel Sweet. 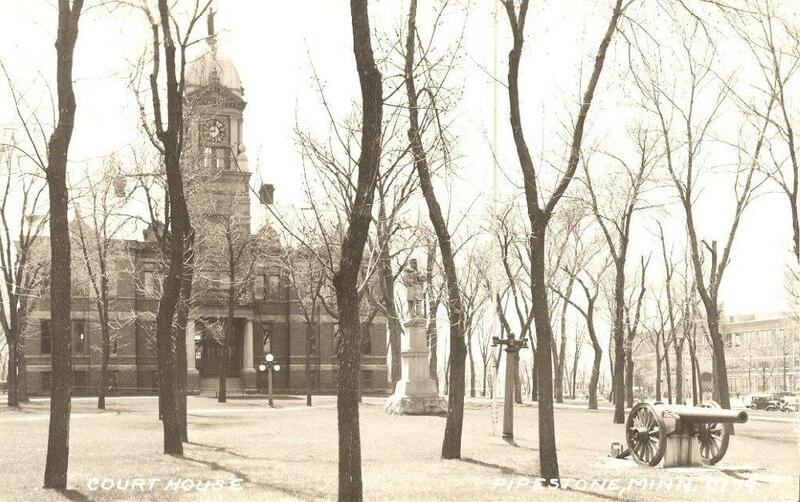 The foundation of the courthouse was laid in 1899 by Hadwick and McKnight, at a cost of $8,500. 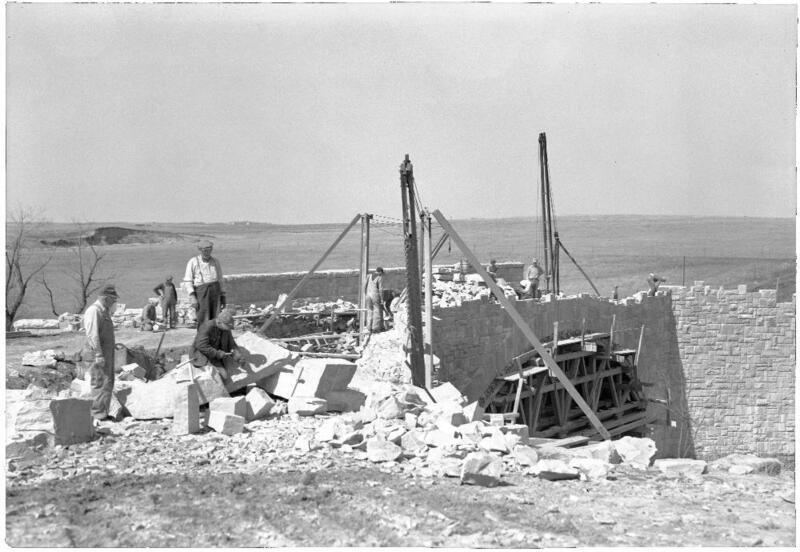 Construction of the building followed in 1900. The building is based on a design by the architectural firm of George Pass and Schippel of Mankato, MN, and C.H. Peltier of Faribault won the contract for building it. The courthouse itself is basically a 100x75 foot rectangle, with a 110 foot renaissance dome topped by a bronze figure of "Justice," which gazes north over the city. The tower features four clock faces, permanently set at different times. These clocks were never equipped with clockworks. The heavily rusticated masonry conveys a Richardsonian architectural feeling. 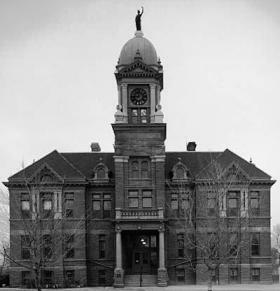 The courthouse was actually considered a two-story building, but the raised basement and high attic dorms gave the effect of four levels. Although not yet finished, the courthouse was in use by December of 1901. 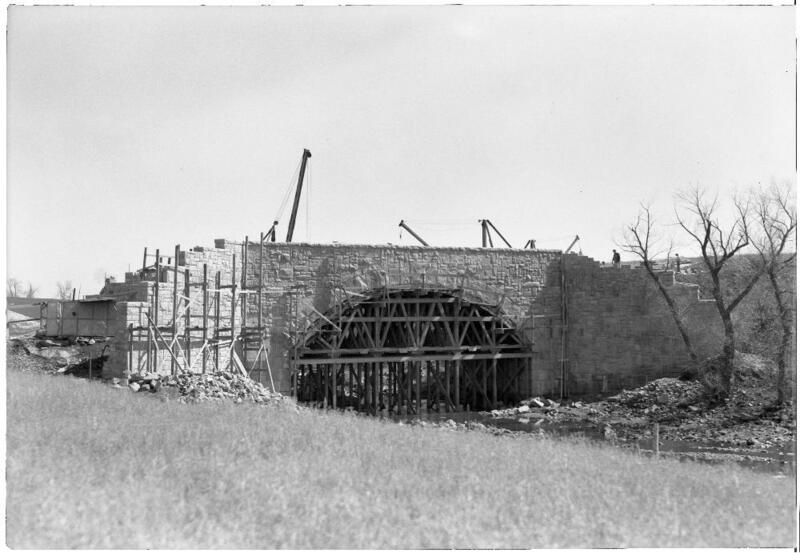 Completed in May of 1902, the initial cost of the structure was about $45,000. Inside, visitors appreciate the turn of the century style of the rich, oak woodwork and pressed metal ceilings. In the entrance lobby is a plaque honoring Daniel Sweet, co-founder of the city of Pipestone as well as donor of the courthouse site. A mantel in the foyer patterned in varicolored pipestone in an Indian motif, was commissioned by the Woman's World fair Auxiliary Committee to be part of the Minnesota exhibition at the Columbian Exposition in Chicago in 1893. There, it received a "Medal of Special Merit." Although inside the courthouse is a Memorial Role of Honor. Installed in 1944, it lists the names of 611 men and women who served in World War I, and 1208 who served in World War II. The courthouse was restored and remodeled during 1995 and 1996, financed in part by county revenue bonds. 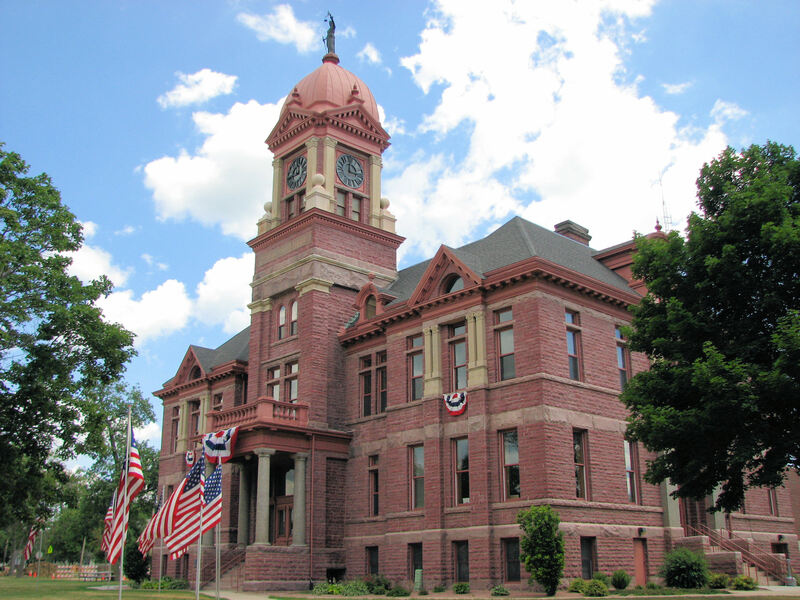 County commissioners, a citizen advisory committee, and the architects gave special attention to the preservation of the historic value of the courthouse, while making needed improvements and building upgrades. The total cost of the project was $1,760,000. The courthouse lawn has been home to many reminders of the service and citizenship of Pipestone County residents. In front of the courthouse stands a statute sculpted by L.H. Moore. Dedicated July 4, 1901, the stature depicts a Civil War soldier standing at parade rest. On the base of the statute are inscribed the names of more than 200 veterans of the Civil War and Spanish American War who had lived in Pipestone County. The county of Pipestone and Pipestone Historical Society and donations from local veterans groups and individuals are helping pay for the professional cleaning and preservation of the stature, as well as new fence, spotlights and signs. The statute was rededicated August 12, 2000. Several attractions have been removed from the courthouse lawn. In 1912, a band shell was erected on the courthouse lawn. The band shell was moved to Harmon Payfield in March of 1940. In March 1900, Pipestone secured a Civil war era cannon for the courthouse lawn, one of 666 allotted to Minnesota. In 1943, during World War II, the cannon was sold for scrap iron to help the war effort. It brought $21.50. Upset about the loss of the cannon, John Piszek led an effort with the American Legion to secure a surplus tank, which currently set on the front lawn. In 1962, this Sherman Medium Model M4 tank was brought to the county, in honor of the Pipestone residents who served in the military during World War II and the Korean conflict.